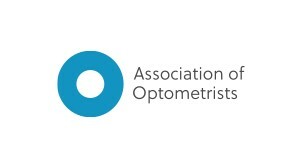 The Hospital Optometrist Annual Conference gives us a chance every year to catch up with those of you that we may not see on our usual monthly visits and also the opportunity to invite you to take part in our highly successful Low Vision CET Workshop. The event is always well attended and popular with our sales team. This year was no different. Our pre-dinner ‘pub-style’ quiz on telescopes was very well received and a real eye opener for attendees (excuse the pun). Information on different types of telescope, their categories and their uses can be obtained by contacting me directly. For many years, telescopes and binoculars dominated the prescription of low vision aids for both the young and the elderly. Over the past 20 years however telescopic magnification methods have significantly dropped, with the production of high quality illuminated hand and stand magnifiers now becoming the backbone of low vision practice. Telescopic magnification remains the primary method of prescribing magnification for intermediate and distance tasks. We wanted to review the theory behind telescopic magnification for distance, intermediate and near tasks and review the generic properties of current hardware readily available so that low vision practitioners may familiarise themselves again with this important group of optical low vision aid. Register you interest on our CET event, ‘Telescopes - the long and the short of it’ now! The R&D guys at Eschenbach HQ have been working hard to continually improve the mobilux LED to further enhance the user experience. The latest addition has been the development of the 3 light temperature control filters. Rather than just show you the light temperatures 2700K, 4500K and 6600K that can be achieved by using these filters with the LED mobilux hand magnifier, we wanted you to see the difference the temperatures can make to the user. Using our ‘Macular Degeneration Simulator’ goggles, we could help a lot of you better understand some of the abilities and limitations brought on by visual impairments and how illumination can help an individual. I must say the results were very illuminating (2nd time…). The overwhelming response reflected the conclusion from a 2012 study conducted by Miller, Rubenstein and Wolffsohn. The study, ‘Effect of light-emitting diode colour temperature on magnifier reading performance of the visually impaired’ investigated the effect of illumination colour temperature on magnifier reading performance. Each colour temperature was preferred and disliked by a similar number of patients and was unrelated to distance visual acuity, prescribed magnification and age. The conclusion was therefore to be that a range of colour temperature illuminations should be offered to all visually impaired individuals prescribed with an optical magnifier for near tasks to optimise subjective and objective benefits. Full details of our mobilux & mobase range of multi temp LED handheld magniifers can be found here.